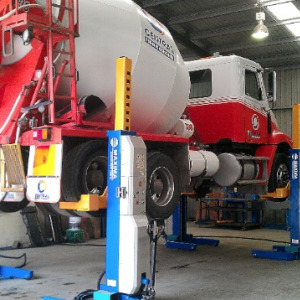 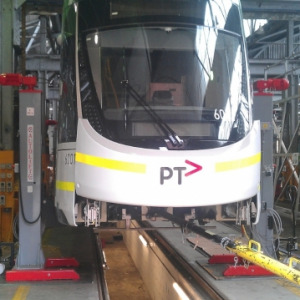 Ausquip refurbished an existing IME-Autolift system to give it eight (8) 10,000kgs capacity mobile lifting jacks complete with updated technology for lifting the brand new tram for Melbourne’s public transport system. 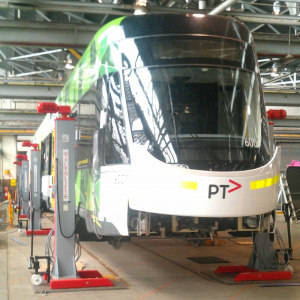 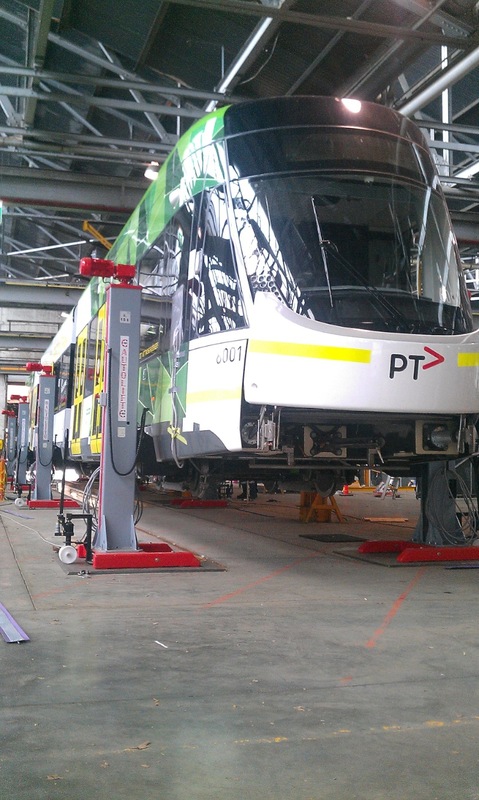 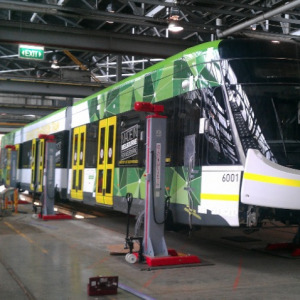 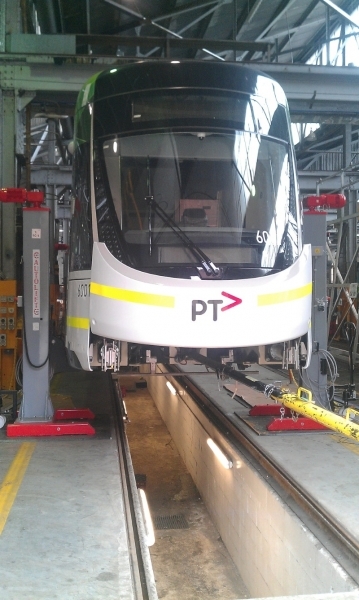 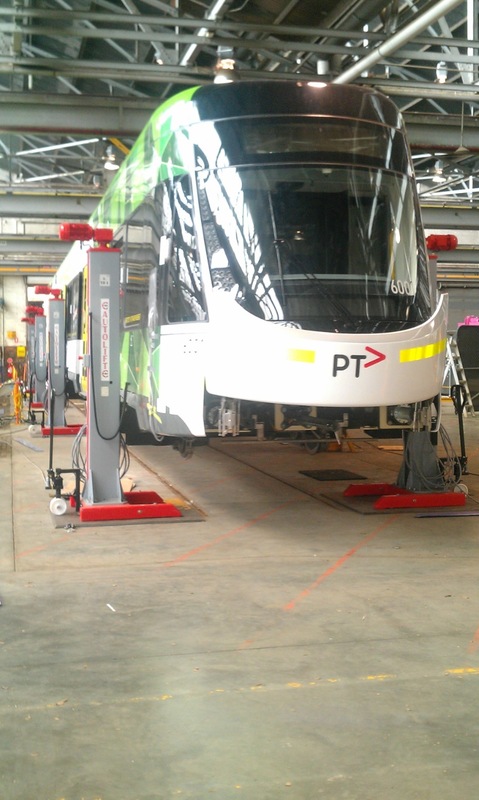 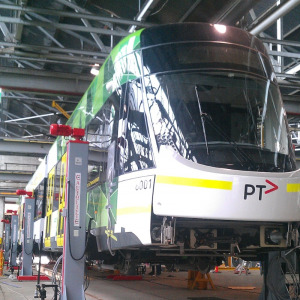 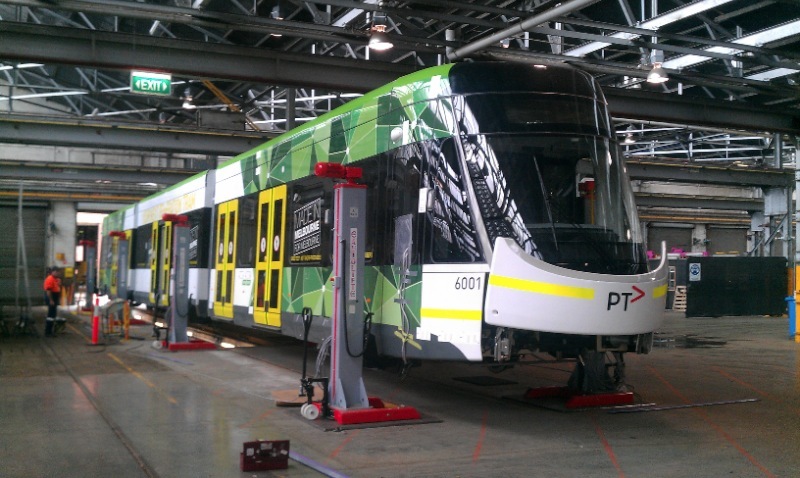 A spectacular result which enabled Yarra Trams to deliver the Bombardier designed and built E Class tram. 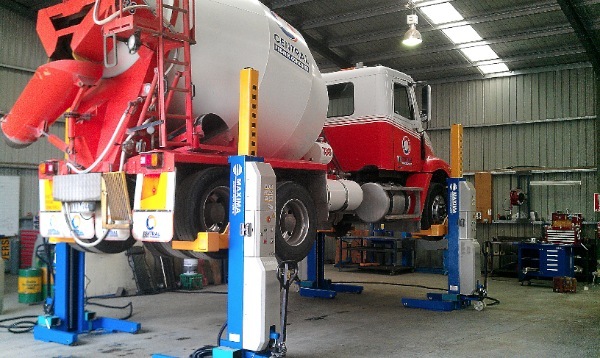 A Central Victorian business whom took delivery of a set of Four (4) Maxima Columns. 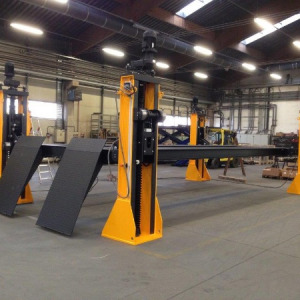 The columns will help to maintain the strong efficiencies already created by Leo and Craig Brogan. 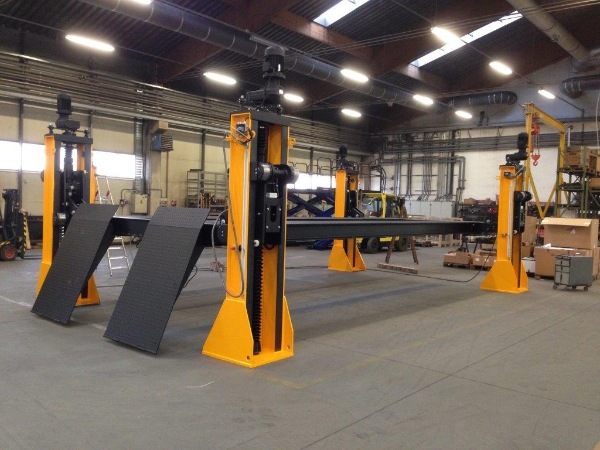 Exciting times as the 60,000kgs capacity four post ramp system is now being installed near Newcastle and creates the first underground service centre for Xstrata Glencore worldwide. 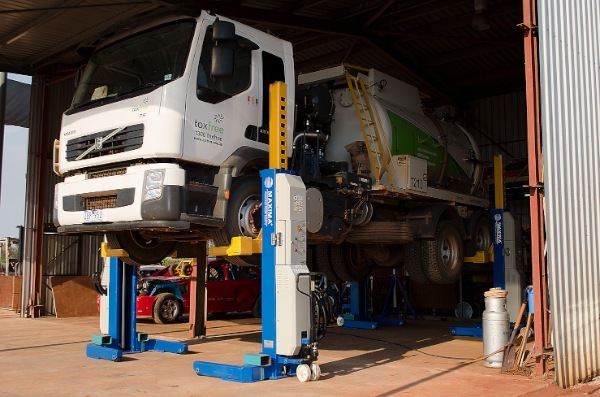 This is revolutionary as it allows the vehicles to be serviced without needing to travel the 6 kilometres to the surface. 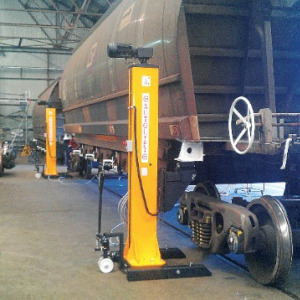 Varley Group are service contractors to the mining industry and have a focus on the service and maintenance of Queensland Rail’s Coal Wagons. 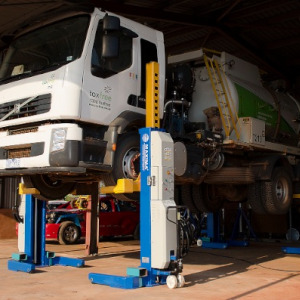 After onsite discussions, Ausquip tailored a solution that has dramatically improved the speed with which bogey removal and change can be performed. 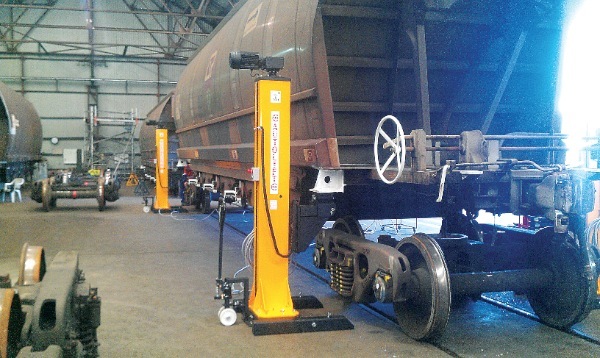 This has negated the use of overhead cranes in the workshop and has reduced the potential hazards.